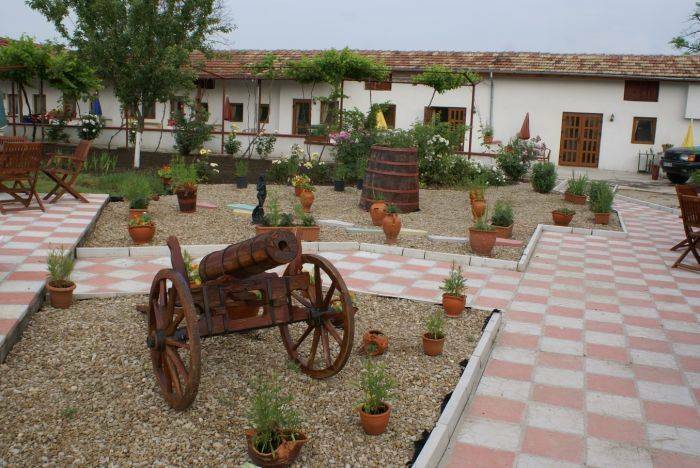 Resen Lodge is based in a village just 17 kilometres (15 minutes) from the ancient capital of Bulgaria Veliko Turnovo. Its a one hour drive to Romania, three hours to Sofia, Varna and Bourgas, and only 45 minutes to the ski slopes at Gabravo. Resen village has a number of shops, post office, hairdresser and a few village bars. This is a fantastic area for walking, cycling, fishing and hunting and is also a wonderful base to explore this part of Bulgaria for either sight seeing or house hunting. Resen Lodge is favoured by many returning guests, and their recommendations. Resen Lodge offers you a friendly and informative service, in a relaxed and pleasant atmosphere. We provide modestly priced accommodation with air conditioned en suite rooms. A camping area and parking for motor-homes and caravans is also available. Our Six double bedrooms with air-conditioning are also centrally heated, and are located on ground floor level, each with its own private patio area. Our huge garden with swimming pool and a large Spa hot tub are available to guests during the Summer months. 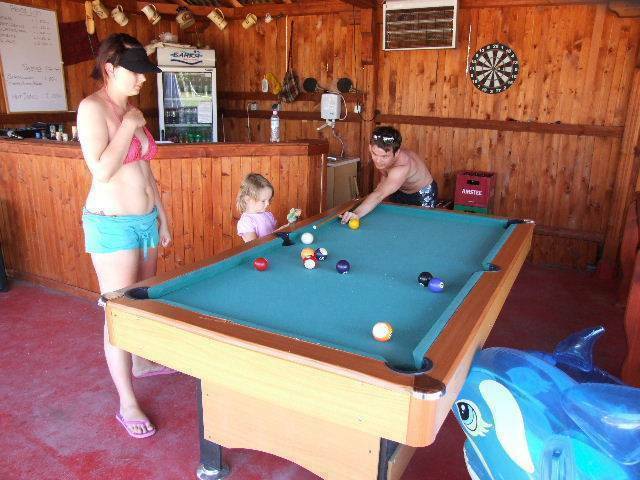 We also offer a garden bar and cafe, barbecue, table tennis, billiards, volleyball, badminton, bike hire, quad bikes , free internet access and a children's play area. Sunday is open day where we have a party by the pool, where fun, games and competitions are the order of the day. We have modern caravans for sale and to rent. We are a family run business who pride ourselves in the quality and specification of our holiday homes. Dont hesitate to call us if you need more information and for availability. Our camping rates include full use of all Resen Lodge facilities, the camp ground, showers and toilets block are free to use during your stay. Veliko Turnovo has all you would expect in a city of its size, great shopping restaurants and bars, walks, picnic areas with incredible views. From its rich historical value, to its thriving modern nightlife and lush natural surroundings that provide many excellent opportunities for outdoor recreational activities. Veliko Turnovo offers you everything you could ever want for the perfect holiday. There are many Eco Trails in the area, waterfalls, wildlife and fauna. Maps and guides are available. The Veliko Turnovo region boasts remarkable collection of Christian monuments of art and architecture. The regions 12 Monasteries, Churches and Roman Ruins are a special attraction. Dryanovo and Kapinovo Monasteries are worth a visit if you are interested in lush, natural surroundings, with a river you can swim or fish in, as well as many beautiful trails for walking or hiking. There are local riding stables that cater for the absolute beginner right through to the most competent rider. Details are available from Resen Lodge. Fish on the Yantra River or the large reservoirs nearby, To fish for carp in the local reservoir costs 1 euro per day, rods are available from Resen Lodge. Bulgaria is on the path for migrating birds, a popular place to visit. In Bulgaria there are about 383 bird species 327 of these are protected. Resen village has a few bars and cafes, with a British restaurant on the square. All rooms are en suit and have air conditioning, they have access to the garden and swimming pool direct from there own private patio area. The Bunk house has 4 bunk beds with ladies and gents facilities, all guests have use of garden, bar/cafe and swimming pool. There is a camping and caravan park to the rear of Resen Lodge. The main house is now for rent, three bedrooms, showerroom and wc, fully fited kitchen and siitting room. Fan only.